Scène européenne est un projet de recherche qui réunit des spécialistes de différentes aires culturelles (Italie, Espagne, Angleterre, France), désireux de confronter leurs approches et de construire une vision la plus exacte et la plus complète possible de la production théâtrale et spectaculaire dans l’Europe de la Renaissance et de l’Âge Baroque dont nous avons le plus souvent une connaissance trop fragmentaire et donc inexacte. Ces chercheurs entendent envisager le fait théâtral, et plus généralement les différentes formes du spectacle, dans leur globalité en étudiant à la fois la réflexion théorique, la dramaturgie, les techniques mises en œuvre dans la production du spectacle et les modalités de sa réception. Ils souhaitent aussi publier un certain nombre d’éditions/traductions critiques de pièces européennes de cette période dont le texte est difficilement accessible ou lisible pour le lectorat des divers pays d’Europe. L’ensemble de ces activités s’appuie sur l’équipe Théâtre européen du CESR et sur des partenariats avec des équipes de recherche ou des chercheurs individuels appartenant à d’autres universités. Hector is widely regarded as Montchrestien’s most accomplished achievement within the conventions of turn-of-the-century neo-classical French tragedy, following in the line of Robert Garnier but with increased distance from any topical political application. Certainly, on these terms it is a powerful piece of poetic theatre. Within a neo-Stoically conditioned metaphysical framework outlining the possibilities, and limitations, of human actions – chiefly the exercise of heroic courage – in the face of apparently implacable destiny, Montchrestien succeeds impressively in developing the emotional potential of his subject The subject is well chosen for the purpose: the narrow but decisive segment of the Trojan war legend portraying Hector’s decision, in defiance of ill-omens and personal supplications, to do battle on the fatal day, with disastrous consequences for himself and for Troy. Among the author’s limited dramatic productions over his brief literary career, The Queen of Scotland stood out in its own time, as it continues to do. The only one of Montchrestien’s six tragedies not devoted to a biblical or classical subject, in taking up the theme of the execution of Mary, Queen of Scots (1587), the play ventures into the fraught territory of nearly contemporary politico-religious controversy that is otherwise associated with frank works of propaganda. 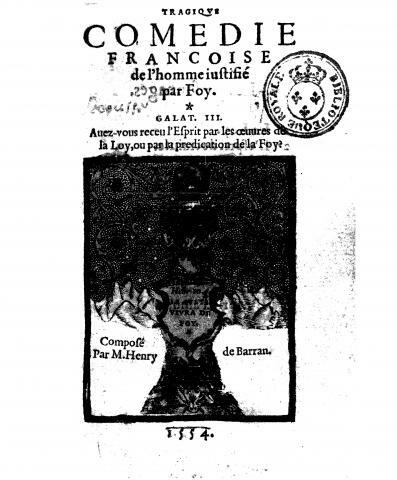 The tragedy of Coriolan by Alexandre Hardy presents special interest as an intertext for Shakespeare’s adaptation of essentially the same material (Plutarch’s “Life of Coriolanus”), in Coriolanus (1608), which was probably closely contemporary, though the date of Hardy’s work is less certain. This tragedy, intriguingly poised between the humanist model and the emerging baroque aesthetic, is based on a story narrated by Helen, Queen of Corinth, in the Arcadia of Philip Sidney (bk. I, chap. 11). 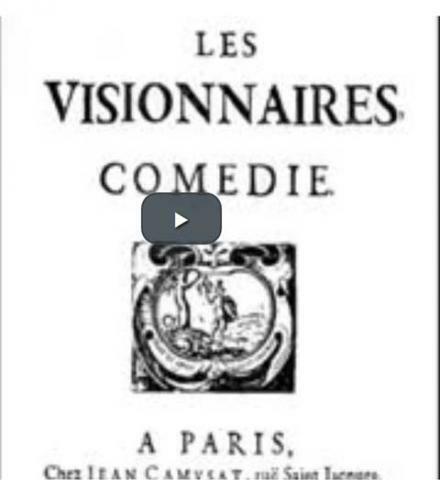 Indeed, it has a claim to be the first substantial French adaptation of an English literary work – a claim all the more remarkable because, almost certainly, no translation of Sidney’s romance would have been available to the author, who nevertheless displays a detailed knowledge of that text (probably in its first published version of 1590) beyond the episode in question.